"Perseverance, enthusiasm, service priority are the key pillars of our company, our goal is to earn client satisfaction instead of numbers." 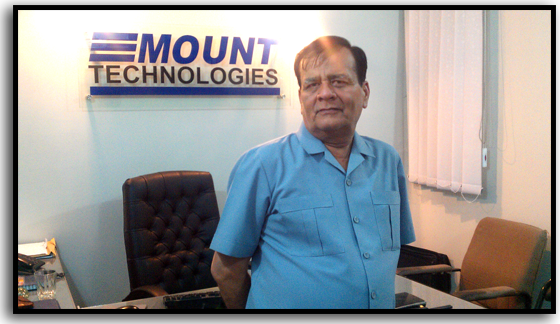 Mount technologies founded in 2005 with very little capital but with high visions and aims to provide state of the art services with very low budget to our clients. We just follow three main rules to get to our goals: do it on-time, do it within scope and offer the best service with lower cost. We also aim to offer unique perspectives to our customers and help them become more efficient and competitive in their respective marketplace. Mount technologies started its career with the development of basic desktop business application, then with the changes of time and environment we gradually worked on web application development and then implement on cloud computing. Now Alhamdulillah we are growing faster and efficiently working on different and useful mobile applications. Today we are providing our services worldwide with products to help all types of teams realize their visions and get stuff done. We always try to provide royal services to customers so that they would feel relax, independent and secure because Mount technologies is a company which intends to be in front of the client’s needs, deeply understanding clients’ business and delivering and optimizing IT solutions from the initial phase of scoping the requirements, up to the final delivery, maintenance and continuous upgrade.